This is the second half of “UK POP-PUNK” following the post featuring Diamond Days. As I mentioned in my last post, I have found 2 outstanding UK pop-punk bands this year. 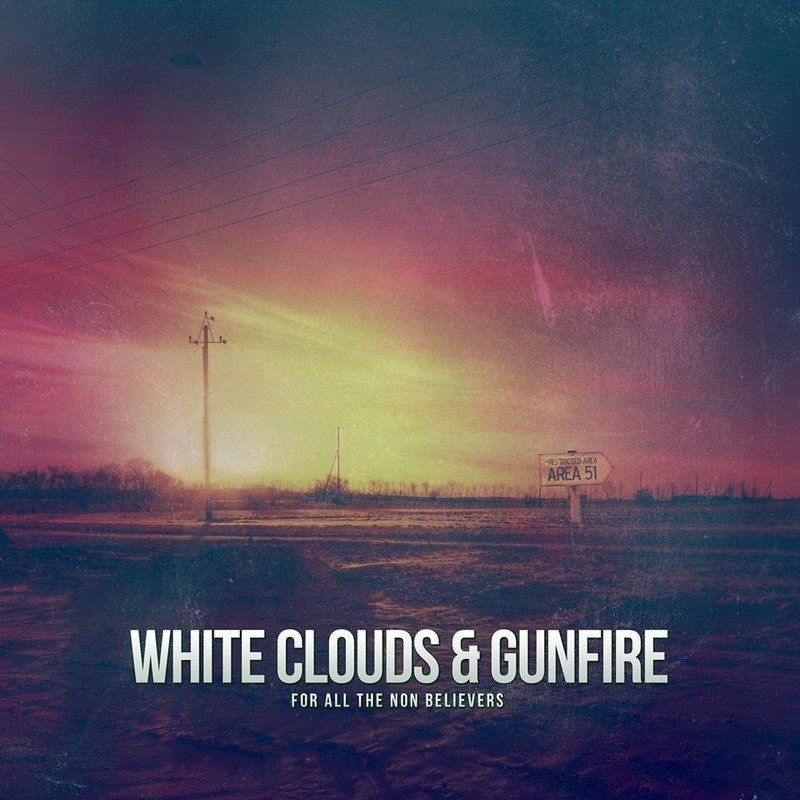 Today I present White Clouds & Gunfire from Peterborough, England. I have kept a close eye on them on their social media from July, when they performed at the Barfly in London. Since then, I have become a big fan of them. My blog featured Evey Verdegaal, the lead singer of White Clouds & Gunfire in “Girl Power-1” back in October. I can say that Evey is the one of most dedicated artists I know. Over the last 12 months, they have been touring and promoting their debut album ‘For All The Non Believers’. This year they had a sell out hometown show, alongside numerous O2 Academy shows, plays on Scuzz TV and much more; it has been a fruitful year for the group. In October the band successfully completed their 4th UK tour of the year, showcasing new material which they had been working hard on behind the scenes. These new tunes will appear on a forthcoming EP. Apart from what’s written in “Girl Power-1”, they have many great qualities. But what impresses me most is the vocal ability that the bass player Rob has. His steady high tone voice is a special spice of White Clouds & Gunfire. Their debut album ‘For All The Non Believers’ is a pop-punk masterpiece. The album contains 8 songs, some of them have official music videos which you should check out on YouTube. One song from this album which is particularly outstanding is called “Reflection”. It is a beautiful song, and I would call it a gem. I am obviously looking forward to seeing them live at a gig soon. I hope you are feeling the same way!